Since I was MIA the last two days, I'm back with two cards to make up for my absence! I used a bunch of our new products! For my first card, I wanted to create an urban carnival scene. In the Summers, while driving home from Brooklyn, you can see a giant ferris wheel from afar while on the Belt Parkway. It always look really cool from the distance against the urban skyline while the sun is setting! Here I used the Gansai watercolors to paint the sky extremely carefully. 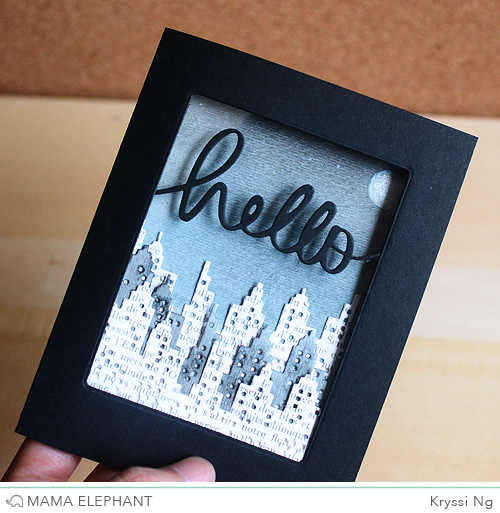 The skyline is created with our new Cityscape Creative Cuts die set that comes with both the skyline and a road! The ferris wheel is from Around We Go stamp set I colored in the seats with my Copic markers. Up close you can definitely see the "whites" of clouds and the different shades of the blue sky. When using watercolors, it's important to go light and retain the whites. White space is such an important part of the watercoloring technique. It's almost too easy to go overboard and swash paint over every little space, but try not to! Use the white space to create depth and highlights.. or in my case, streaks of white clouds. And now the inside, the sentiment is from the Splendid stamp set and the bridge is from the Sightseeing stamp set. They were both embossed in white for a pop! My next card is super cool and moody even! I negative die cut a window for a frame from the smaller stitched die from Femme Frames Creative Cuts die set. I wanted to create a clear window to see through the inside. Sentiment is the Hello Script Creative Cuts die (back in stock next week) which I adhered onto the clear acetate with a bit of Glossy Accents. Let's take a look at the inside, which is really the focus of this card. I whipped out my new Gansai watercolors again and this time I used a watercolor cardstock as my base. I created a night scene by slowly layering greys upon greys. You can see the color gradient from dark to light. The moon and subtle stars were hand painted using the Gansai watercolors as well. For the skyline, I die cut the Cityscape Creative Cuts die set a few times and one final time using the road that is also part of this set. To celebrate the new release, Mama Elephant is giving away one of each of the new stamps released! Winners will be chosen at random from the collective blogs in the Stampede. Winners will be announced on the blog on the last Stamp Highlights day. You have up to 3 chances to qualify to win! Now let's get on with the Stampede! Visit these amazing designers for tons of inspiration using all our new goodies! Best of luck! I am ready to hop...this release looks so classy! Awesome. I like you on Facebook. And I like you in general! Lots! What an awesome project. 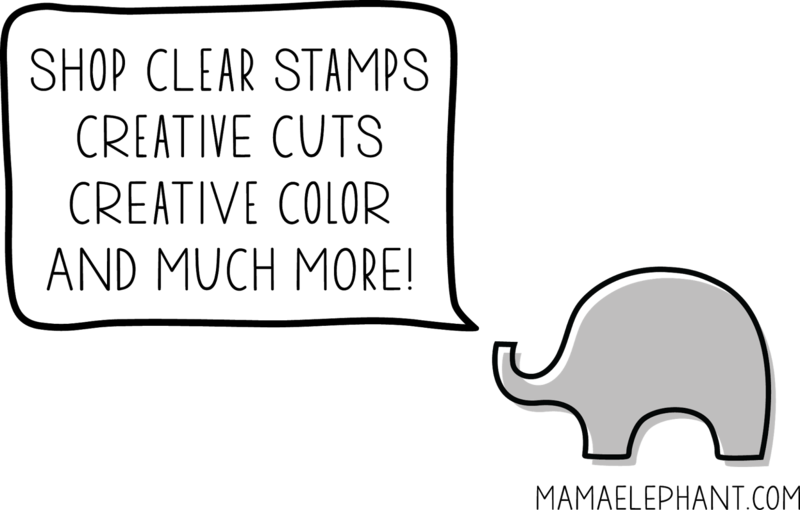 Just finding out about Mama Elephant and I love them! Wow. You did a FABULOUS job on the night and day backgrounds. Absolutely stunning. The Splendid stamp set is fantastic! Absolutely stunning cards. Love the cityscape and Ferris wheel. I love that first card...well...both actually, but I love the depth of the stepped buildings! Wow, your cards are fantastic! I already follow you on FB! Your cards are gorgeous. Love the city scape die. Thanks for sharing. WOW.... These cards are absolutely amazing!!! Just found your site. Love all the stamps and all the creative cards. Fantastic city scene cards! Excelent job with the night scene coloring! Gorgeous cards!!! Love what you did here! Thank you so much for the great day of showcasing cards! I like you on Facebook page!!! Great cards Kryssi! I placed my order early this morning!! Following you on FB. Really like the new releases! Wow great cards. I allready foolow you on FB. Fabulous cards! Love the new sets. I follow/like your FB page too! Beautiful new releases. I am just loving the new stamps and the hop. Such great cards and ideas. I follow Mama Elephant on facebook. I have like and shared. I follow on FB too. Love these city scapes, wow! 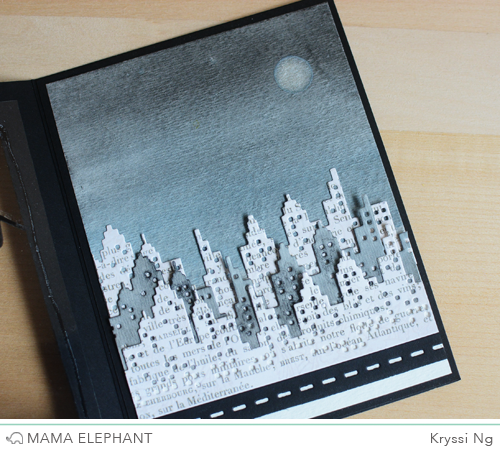 Your cityscape cards are amazing and so is the Mama elephant set. Wow awesome cards!! This set looks amazing! Oh, this release looks amazing! Thanks so much for a chance to win it! St Louis recently finished a bridge that looks somewhat like the one in the stamp set. I'll have to get this set. I'll be able to use it for my greeting cards as a replica of St. Louis. Just finished the hop. Got a lot of great ideas. Now off to put them to work. thanks for having the hop. Fantastic release! I love matching dies with stamps! Love the colour and depth of this card! GORGEOUS cards! Loving the cityscapes and the watercolors are just beautiful! Wonderful release - off to hop and to be inspired! Giddy over the Sweet Havana Set!! Love the hello card...so cool!! the ferris wheel is very nice too!! GORGEOUS cards! Love the contrast of the white on black, and also the background from the first card is absolutely splendid. Thank you for the chance to win, so excited to have discovered your products! Love all of the cards! Awesome release! Can't wait to see other design team work. Great release! I love the cityscape!!! Thanks for the chance! OK, I am now an official groupie!! I love your creations and LOVE your cards!! Thank you for all your inspiration!! Oh my goodness, these cards are amazing! I adore the two scenes, the feelings you captured and pretty artistry. Can I say, AWESOME RELEASE? And these cards....wow, wow, wow. Already FB shared and tweeted. I love this new release! Thank you for your awesome talent and creations! Very cool new goodies, thanks for sharing! That first card is FANTASTIC! I love it! Kryssi's cards are so amazing! The second one is just fantastic! Thanks for sharing! Such an awesome release, absolutely love the cityscape die! I can see superhero invites in my near future with this die! Thanks for the awesome giveaway! I so need to get the new release! Love these cards! I just love this new release! Really fab cards! These cards are so pretty! I love the little extra on the inside! Love the new city dies!! I already follow in Facebook and will repost! I am ready to hop! Love the city die!! I love the Sweet Havanna stamp & die sets. Very cool cards and release! These are amazing! Love the depth you created with the city dies. Awesome cards! 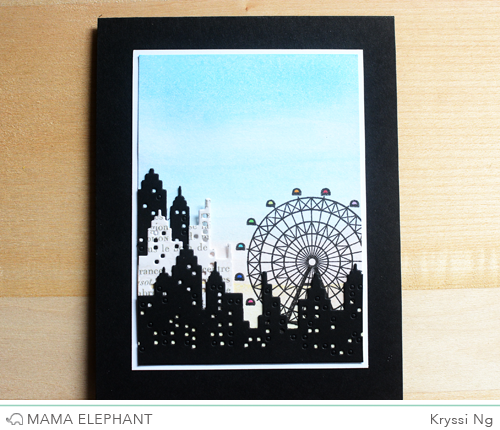 Lovin' that fabulous Cityscape die! Really cool! I love both cards, but especially the moody #2! Oh, WOW! What stunning cards! This release is awesome! I "liked" Mama Elephant on Facebook, but I actually "LOVE"! These cards are unbelievable! Have to get these new goodies! Love the wrapping banner in sweet Havana, and the splendid set looks like a must have...The cityscape set has amazing detail...oh mama, you've done it again! Love your stamps and cards. They are amazing. Wow! Great cards & fabulous watercoloring, Kryssi! I love this new release. That's no surprise - I love everything ME! Of course, I like you on FB and shared! Really gorgeous cards, Kryssi! Thanks for showcasing them so beautifully....now, of course I want everything! Simply gorgeous! Love every stamp set in this release!! what nice cards and fun new products! Your card-scapes came great. Love the 'moody' hello. 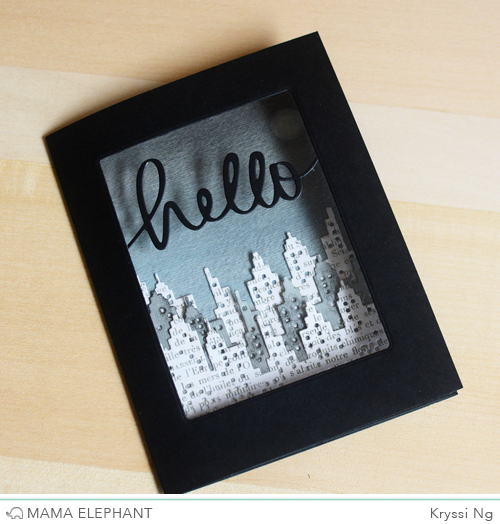 That city scape hello card that looks like a shadow box is stunning. I LOVE Splendid because of the pretty cursive loopy writing! And the Havana set is so pretty and I have been seeing flower and vase sets everywhere lately! Great job on the release and I like ME on FB! These cards are fabulous! That ferris wheel is going on my wish list. Gorgeous cards, love both your card designs, so inspiring!!! I like you on Facebook already!!! Done with the Stampede! Visited all the amazing designers. Wow, tons of inspiration! Thanks for the idea and the chance of winning! I liked Mama Elephant on Facebook. WOW - TOTALLY AWESOME cards Kryssi!!! LOVE them BOTH, inside and out!!! As for your window card, WOW, your watercolour background with the die cut cityscape is BEAUTIFUL, so clever having the acetate front!!! Great release!! so much fun could be had with these!!! What a great release!! I love the skyline!! These two cards are amazing! Awesome cards with this skyline. Awesome cards. The skyline is beautiful against the water color background! Love it. I love all the different ideas! They are ALL SO AMAZING and inspirational! I hope to win! Love your stamps, your designs, everything is awesome! I shared about the May Stampede with all my crafty friends. So glad I found you through this hop! Your products are blowing me away let alone this new release!!! Awesome cards! Love that city skyline and the bridge! I love the city skyline cards! Just finished the hop and loved seeing all the different ways the DT used the amazing new stamp sets and coordinating dies! Such a creative design team and really excited about the addition of Pamela Ho!!!!! Wow! I am just blown away by these awesome cards! Love the release, of course...and I LOVE the watercoloring techniques here. Fantastic! I follow ME on FB and posted about the new release! I follow ME on twitter and tweeted about the hop! ready , set to go hopping. I follow Mama E on FB and get notification via email too. Love you gals. Cool city scape die. Love the cards! Excited to see the entire release! I love these two cards. You really did a great job using the new MamaElephant stamps and dies. I love the newest release and your cards! Another amazing release! Love your cards. I'm following you on twitter too. Both cards are just beautiful! 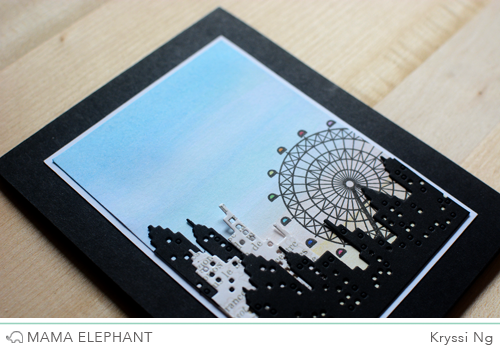 Love the Cityscape Creative Cuts! I love both cars but the first one looks totally awesome! Great scene. Great new goodies. I really need to practice with my watercolors. Beautiful cards. And loving the new sets. 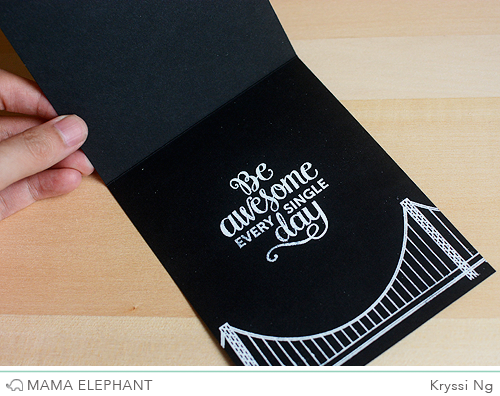 I love the Around We Go set - and such fabulous, inspiring samples from you too!